BACKGROUNDNon-Hodgkin lymphoma (NHL) is a collection of different subtypes each with different clinical presentations, treatment regimen and prognosis. To date, there is no single classification that can predict how a particular tumour in an individual patient might behave. So a need to look at other prognostic indicators has become increasingly relevant. In this study, various subtypes of NHL were studied. They were classified by working formulation classification and apoptotic & proliferative indices which were taken as prognostic indicators were applied. METHODSHistopathological tissue materials of NHL cases from the department of pathology, tirunelveli medical college were collected and studied. All cases were classified by working formulation into low, intermediate, high grade. Apoptotic indices were calculated by counting apoptotic bodies per 1000 cells and expressed in percentage. Immunohistochemical stain for Ki67 was done. Proliferative indices were calculated by Ki67 positive cells per 1000 cells and expressed in percentage. RESULTSAmong the total 57 cases of NHL, by working formulation classification 21 cases are of low grade,23 cases are intermediate grade and 13 cases are high grade. And then by applying prognostic indicators out of the 21 cases of low-grade lymphomas, 4 cases show higher proliferative capacity. Similarly, among the 23 cases of intermediate grade lymphomas, 5 cases show lower proliferative capacity and other 5 cases with higher proliferative capacity.Among the 13 cases of high-grade lymphoma, all the cases show a very higher proliferative capacity with very high apoptotic indices. CONCLUSIONIn spite, the availability of a number of new classification for NHL working formulation still holds good in most cases. Though apoptotic indices were found not to be significant in this study, proliferative indices were found to play an important in identifying the aggressiveness of tumour behaviour. The outcome of the analysis of these indices has a positive correlation and has a definite impact over the prognosis of patients with NHL. 1. Rao SI. Role of immunohistochemistry in lymphoma, Indian J Med PaediatrOncol. 2010;31(4):145–147. 4. Olga B, Yulia S, Elimelech O, Ofer S, and Osnat B. Role and prognostic significance of the Ki-67 index in non-Hodgkin’s lymphoma. Am. J. H, 2009 .84: 338-343. 6. Olga B, Yulia S, Elimelech O, Ofer S, and Osnat B. Role and prognostic significance of the Ki-67 index in non-Hodgkin’s Lymphoma: Am. J. Hematol .84: 338-343,2009. 7. Lorenzo L, Maria T, Del V, Tiziana M, Paolo B, Piero G, Stefano P, Elena S, Filippo G, Piero T, Rainer K, and Hans C: Correlations Between Apoptotic and Proliferative Indices in Malignant Non-Hodgkin's Lymphomas- American Journal of Pathology, 1993 755-762. 9. 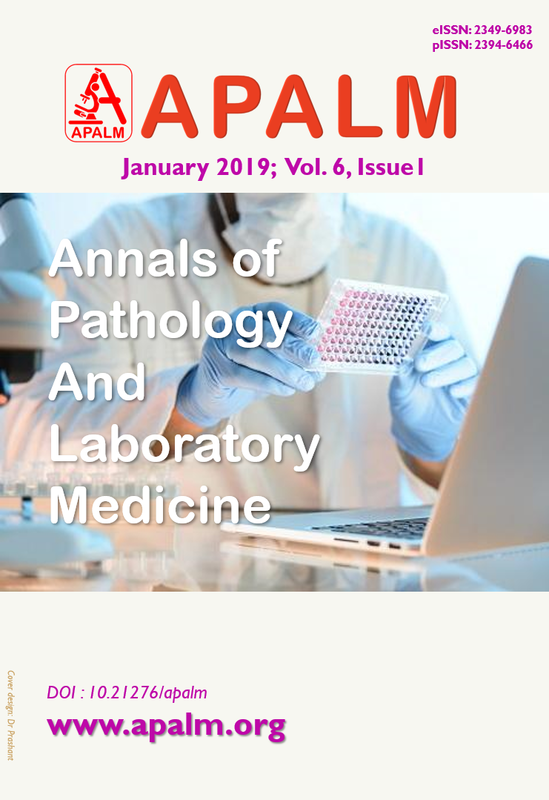 Roser F, Saini M, Meliss R, Ostertag H, Samii M and Bellinzona M: Apoptosis, vascularity, and proliferation in primary central nervous system lymphomas (PCNSL): a histopathological study. Surg Neurol 2004;62(5): 393-399. 10. Gerdes J: Ki-67 and other proliferation markers useful for immunohistologocal diagnostic and prognostic evaluations in human malignancies. Semin Cancer Biol 1:1990; 199-206. 11. Hall PA, Richards MA, Gregory WM, d’Ardenne AJ, Lister TA and Stansfeld AG: The prognostic value of Ki-67 immunostaining in non-Hodgkin’s lymphoma. J Pathol 1998;154: 223-235. 12. Velders GA, Kluin-Nelemans JC, De Boer CJ, Hermans J, Noodijk EM, Schuuring E, Kramer Mh, Van Deijk WA, Rahder JB, Kluin PM and Van Krieken JH: Mantle-cell lymphoma: a populationbased clinical study. J Clin Oncol 14(4): 1269-1274, 1996. 13. Tiemann M, Schrader C, Klapper W, Dreyling MH, Campo E, Norton A, Berger F, Kluin P, Ott G, Pileri S, Pedrinis E, Feller AC, Merz H, Janssen D, Hansmann ML, Krieken H, Moller P, Stein H, Unterhalt M, Hiddemann W and Parwaresch R: Histopathology, cell proliferation indices and clinical outcome in 304 patients with mantle cell lymphoma (MCL): a clinicopathological study from the European MCL Network. Br J Haematol 2005;131: 29-38. 14. Martin AR, Weisenburger DD, Chan WC, Ruby EI, Anderson JR, Vose JM, Bierman PJ, Bast MA, Daley DT and Armitage JO: Prognostic value of cellular proliferation and histologic grade in follicular lymphoma. Blood 1995;85: 3671- 3678.